Set in a beautiful Saline neighborhood, York Woods offers custom homes on large country lots. There are currently 0 homes listed for sale and in 2016, 4 homes sold. $600,000. 9730 Wood Bend Dr., Saline. 2996 sq. ft., +433 in finished lower level, 3 bedrooms and 2.1 baths. $470,705. 9766 Wood Bend Dr., Saline. 2729 sq. ft., +1000 in finished lower level, 4 bedrooms and 3.1 baths. $450,000. 9233 Whispering Pines, Saline. 2643 sq. 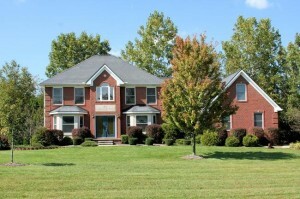 ft., +1260 in finished lower level, 5 bedrooms and 2.1 baths. $280,000. 9858 York Woods Dr., Saline. 1530 square feet with 3 bedrooms and 2 baths. In 2015, 3 homes sold with an average sale price of $386,667 and an average price per square foot of $161.00. The 4 sold last year have an ASP of $450,176, up 16%, and an A$SF of $182.00, up 13%. For more information on the homes at York Woods, or to receive instant notification of new listings, contact us at The Bouma Group, Realtors at 734-761-3060 or email info@bouma.com. Thinking of listing your Saline home? Find out what it’s worth in today’s real estate market!